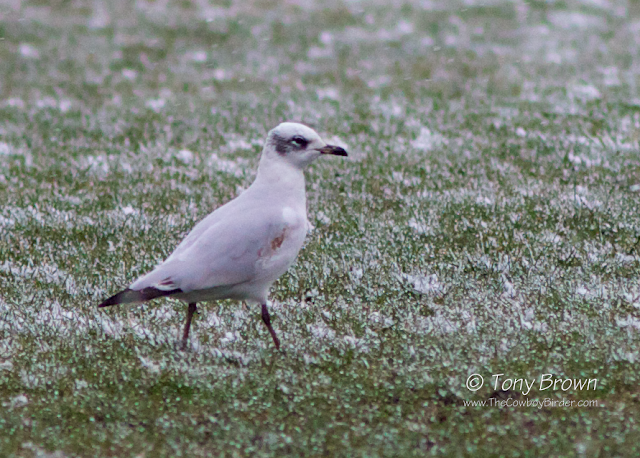 On Saturday in a blizzard of snow I saw my 10th different Mediterranean Gull on Wanstead Flats. Apart from 'Valentino' - Ilford's annual winter visitor to Valentines Park, which also frequently visited the Flats between 2013 - 2016 all the other birds rarely hung around for more than a day. Despite the ever increasing numbers of Mediterranean Gulls in the UK with breeding pairs now reaching over 600+ they're still infrequent visitors to Wanstead Flats, and even though I've now seen ten different birds I'm still yet to see a smart adult in summer plumage with its wonderful full black hood - that's definitely next on my Med Gull list of goals!